Manchester United are hoping to pursue the services of Raphael Varane from Real Madrid by offering Eric Bailly in a part-exchange deal for the Frenchman. Bailly has struggled with form and injury concerns during his time at Old Trafford but a report from The Sun has indicated that he could be the subject of a £35m bid from Los Blancos in the summer. Amidst this, The Mail claims that United could be prepared to sanction the Ivorian's sale to the European champions, but they will attempt to lure Varane in the opposition direction in a player-plus-cash deal. Varane currently has a staggering £429m release clause on his current contract at Los Blancos, but United are still said to be optimistic about signing him for a significantly lesser fee. 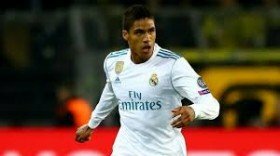 Juventus and Paris Saint-Germain are also understood to be monitoring the proceedings of Varane despite the fact that Los Blancos have no plans of parting ways with the World Cup winner this summer.